Well here at Whisky Boys HQ we have a dram like no other I have seen or tasted. 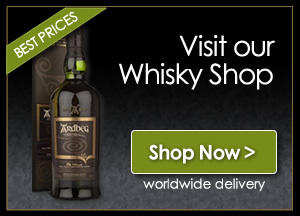 It is a cross-border blend of English and Scotch Malt Whiskies. The Lakes Distillery have created Steel Bonnets in honour of the memory of those people who lived in the Border Marches of England and Scotland during the 13th – 17th century. In early English, to ‘reive’ is to rob, and from this were born ‘The Border Reivers’, nicknames the ‘Steel Bonnets’ after the ‘burgonet’ or ‘morion’ helmets they wore for protection. The Lakes Distillery have taken their own Single Malt and married it with some of the most respected Malts from Scotland. This is a world first, a marriage of English and Scotch Malts, lets now have a wee taste. Nose… First on site is the oak woodiness, vanilla, orchard fruits, mild herbal note, not finding any real smoke. Taste… Mild white pepper, more wood, apple pie with singed crust, fruit gums and a drying smoky effect. Finish… Medium to long, drying, oak and fruit linger longest. That was interesting, the price per bottle is £65.00. “is that too expensive?” I ask myself. I have to admit it is a tad overpriced. I look around and see what £65.00 can buy. 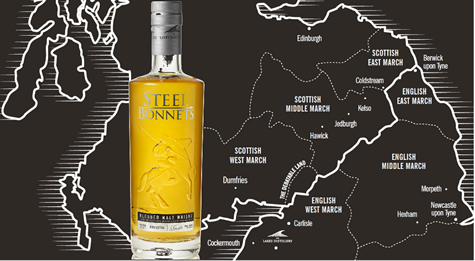 There are many Blended Malts and Single Malts well within this price range and most are slightly better, this is not to say that Steel Bonnets is a poor Blended Malt for it certainly is not, it’s just it is up against such strong competition.